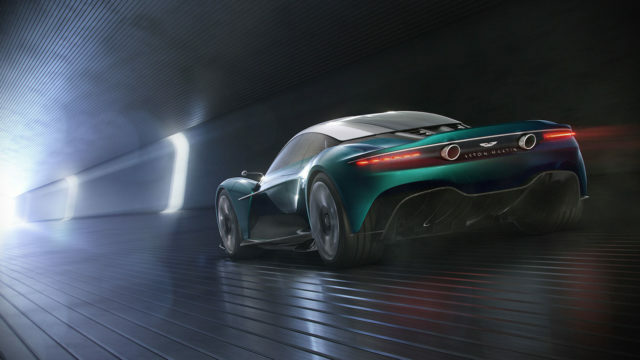 At the 2019 Geneva Motor Show, the British sports car brand revealed what that might look like with the Vanquish Vision Concept, which joined the AM-RB 003 and the Lagonda All-Terrain Concept. The Vanquish will be the fourth product in AM’s mid-engined series, which currently includes the Valkyrie, Valkyrie AMR Pro and upcoming AM-RB 003 that incorporates technology and input from the Red Bull Formula One team. This new iteration of the Vanquish will use a V6 hybrid turbo engine derived from the AM-RB 003 and, in a step away from the top-end models, will be built on a bonded aluminium chassis – instead of all-carbon fibre. Andy Palmer, Aston Martin Lagonda president and chief executive officer, said: “Firstly, what a pleasure to revive the Vanquish name. Synonymous with our series production flagships, it felt entirely appropriate to attach it to such a significant car. Aston Martin predicts the model will go up against the likes of Ferrari and Lamborghini when both Italian brands reveal their next-generation supercars. 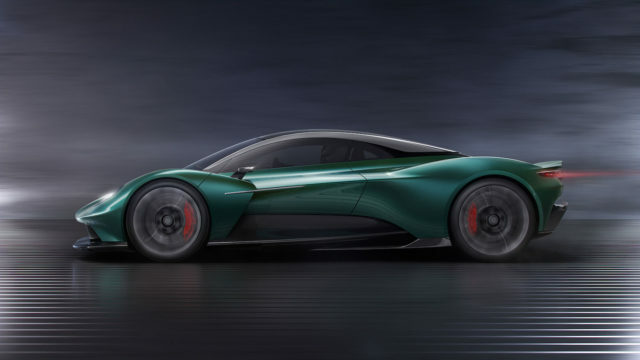 Max Szwaj, Aston Martin’s chief technical officer, said: “The Vanquish Vision Concept is the point when the things we have learned during the Aston Martin Valkyrie and AM-RB 003 programmes reach the series production models.